Location! Waterview at Inlet Beach is a small, intimate community located in Inlet Beach, within walking distance of the famous beaches of the Gulf of Mexico. 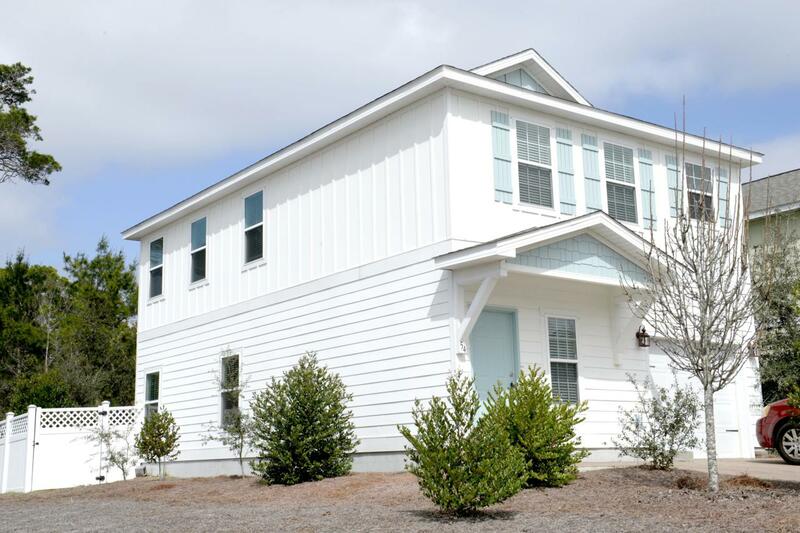 With a public beach access, located less than 1/5 mile away, this makes for a perfect family day at the beach much easier.Upon entering this beautiful 3 bedroom 2.5 bath home, you are greeted by it's rich hardwood floors, and an inviting open floor plan. The kitchen features granite countertops, beautiful tile backsplash and stainless steel appliances. There are lots of wonderful spots close to Waterview subdivision such as 30 Avenue, Rosemary, Seacrest and Aly's Beach.